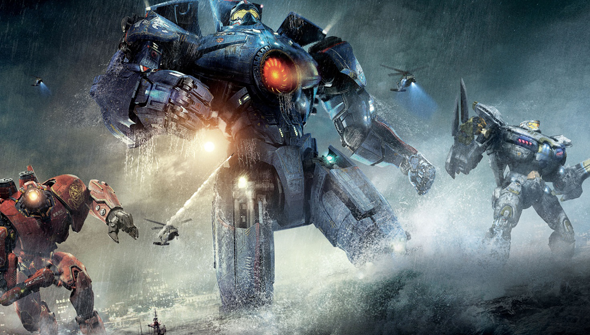 Last year's Pacific Rim was one of the most clearly anime influenced films to date. Crossing classic giant robot action with Godzilla-style Kaiju, it's perhaps the closest we're going to get to a live-action Neon Genesis Evangelion anytime soon. Director Guillermo Del Toro has finally announced that the movie will get a sequel in spring 2017. Not only that, but the franchise will also be getting it's own animated series. In certain circles, the original was of the best received films of 2013. Unfortunately, this didn't translate to mainstream success, and it underperformed at the box office in the US and UK. Fans remained hopeful that the film's greater success in foreign markets would be enough to secure the hoped-for sequel, but it was never a sure thing. So this confirmation is very welcome news indeed.